The third major adjustment is to the job that has been selected. When adults have made a vocational selection, they must adjust to the work itself, to the hours of the work day or work week, to their co-workers and superiors, to the environment in which the work is done, and to the restrictions the work imposes on their personal lives. For many young adults, especially those who have had little or no work experience during their school or college years, this is often the most difficult of all vocational adjustments. For example, adults who cut classes during their student days when they felt like sleeping late often find getting up to get to work at the appointed time day after day both difficult and frustrating. Similarly, those who, during their student days, avoided the classmates they disliked now find that they cannot avoid the co-workers they dislike. 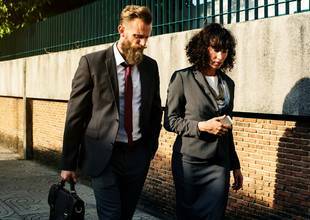 Workers whose attitudes are society-maintaining have little or no interest in their work per se and gain little personal satisfaction from it. Their main interest is in their paychecks. They often regard their jobs as heavy and unpleasant burdens and look forward to their time of retirement. Workers who find their jobs ego-involving derive great personal satisfaction from them. For some, work is a basis of self-respect and a sense of worth. For others, it is a means of gaining prestige, a locus of social participation, or a source of intrinsic enjoyment or creative self-expression, as well as a way of making time pass in a pleasant, routine manner. Because work means so much to workers with such attitudes, they may become preoccupied with it to the exclusion of other interests and dread the time when they will be forced to retire. Conditions that affect the vocational adjustments of men and women differ in many respects, and are discussed separately below. In general, it will be apparent that the adjustments men must make are less difficult than those women must make but this is, by no means, always the case. There are a number of conditions, important to them, that influence men’s adjustments to their work. First, if the job allows them to play the roles they want to play, they will be satisfied and adjust well to their work. If, for example, a man wants to play the role in school and college, he will be satisfied with his work if he is in a position of authority over others. Second, satisfaction is attained if men feel that their jobs make use of their abilities and training. Men who are forced, because of limited education and training, to do work which they regard as below the level of their abilities, will derive little satisfaction from their work or from the social group in the community with which they are associated. This dissatisfaction soon spreads to all areas of their lives and has an adverse effect on their personal and social adjustments. Third, adjustment to work is influenced by how men adjust to authority. Many boys and young men in high school and college resent the authority of their teachers and school administrations. They expect to achieve autonomy when they graduate and enter the work world. How well they can adjust to reality in a world where hierarchy or authority exists will influence their adjustments to their work. If they continue to resent the authority of those above them, they will make poor adjustments to their work. Fourth, adjustments to work are influenced by pay raises or lack of them. Adult men expect to be paid more each year than they were the year before and to move slightly higher up on the vocational ladder. If they get what they regard as reasonable raises and if they see they are climbing up the vocational ladder, even if at a slower rate than they had hoped, they are satisfied or at least partially satisfied. However, even climbing the vocational ladder does not necessarily guarantee good adjustments. This is especially true if workers think their advancement is due to “pull” rather than to ability. Under such conditions, this makes them feel inadequate for the work they are now expected to do. Sometimes men can advance vocationally only if they are willing to move to another community. By doing so, the entire family is uprooted and must make adjustments to new patterns of living. Because of this, many men today question whether the satisfaction they gain from vocational advancement compensates for the adjustment problems their families must face. As a result, there is a growing trend for workers to say no to job transfers. Just as there are a number of conditions that influence men’s adjustments to their work, so there are a number of conditions that influence women’s adjustments. Among these, six stand out as especially important. First, when women are unable to find jobs suited to their abilities, training, and expectations, they feel frustrated. This militates against good adjustments to their work and to their co-workers and superiors. If they are forced to take what are considered “gender-appropriate” jobs – instead of jobs in areas where their interests and abilities lie but which are regarded as “men’s work” – their frustrations increase. Second, when women feel they are in dead-end jobs, especially as they approach middle age, they often become what Kanter referred to as “bitchy bosses” and take out their frustrations on their subordinates. Third, when women have formed stereotyped occupational aspirations, which means aspirations below their capacities to avoid rivalling or surpassing male workers, they tend to become frustrated when they discover that their capacities and training justify higher occupational aspirations. Whether or not they will raise their aspirations under such conditions will depend partly on whether they feel they can do so successfully and partly on whether they are afraid that serious competition with male co-workers may cost them their jobs. Fourth, when women are denied leadership roles in their occupations, especially when they have played such roles in school and college, they are not only frustrated but resentful when they see these roles going to men, many of whom, they feel, have less ability and training for them than they have. As Garland and Price have pointed out, there is bias against women in management not only at the beginning of their careers but also when they have superior performance records. Fifth, many women resent having to carry a double work load – one in the work world and one in the home. They may feel guilty because they must neglect many of the homemaking duties other women perform or rely on their children or outside help to assist them. In addition, they may feel guilty if the recreational activities of the family must be curtailed or if they are too busy or too tired when they return from work to take an active part in their children’s interests. As a result of these feelings on the part of working wives, their home lives may be far from satisfactory for the whole family. This adds to the adjustment problems arising from the work itself, as will be discussed at greater length later in this article. Evidence presented . . . makes it reasonably plain that both work and housekeeping roles have costs and benefits attached to them. Working women enjoy an outside income and some increase in independence as a result of it; they get out of the house and so on. But they also pay for these benefits in reduced free time for themselves, a more hectic pace, and a more complicated life. The life of a housewife, in contrast, is somewhat easier . . . and almost certainly less hectic, but then, their work (that is, housework) is possibly somewhat less satisfying qua work than the labors of their employed counterparts. Sixth, many women long for the job they gave up when they assumed the roles of housewife and mother. The more they think back to the calm and peace of their jobs, their salary checks, and their free time to do as they please, the more restrictive, hectic and frustrating their jobs in the home seem to be. See details below, this affects both personal and social adjustments. Rapid changes in work skills due to increased use of automation. Lack of flexibility in working time which is especially difficult for women who must adjust their work schedule to their home responsibilities. Long and costly preparation which makes career shifts impossible.